Many lightweight tents lose out in terms of stability and durability, but the Terra Nova Polar Lite 2 Micro is specifically designed to withstand severe environments that include snow conditions. 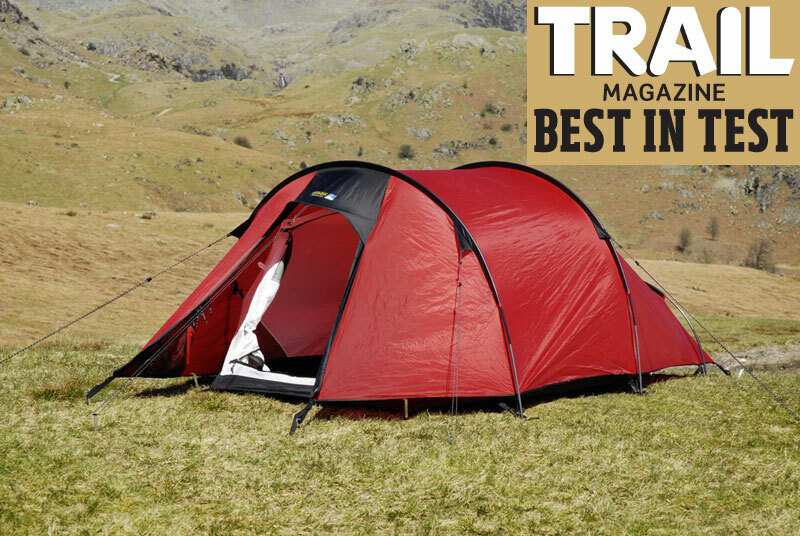 It weighs 2039g and packs down to a shorter size than similar tents. It pitches outer-first, with the three alloy poles slipping through sleeves around the outside of the flysheet. Guy lines and 16 pegs are then used to stabilise the structure while ladder-lock webbing adjusters make pitching easy. As with all tunnel tents it’s most stable if pitched tail into the wind, but it’s also pretty stable in crosswinds too. There’s front access via a large zipaway door, which has four zip pulls allowing it to be opened from the top, bottom or either side, and it’s ideal for use in unpredictable weather conditions. The inner door zips to the side, and the tent feels bright and airy thanks to vents at each end. There’s good length and width to the inner but headroom is limited to 80cm (many tents have a 90cm inner height). The inner extends into the porch a little, which means the porch is slightly smaller than other tents; and with two people’s gear in here it could be a little cramped. All the materials and details are well-designed, though, so if the living space fits your needs the Terra Nova Polar Lite 2 Micro is a great option. The Terra Nova Polar Lite 2 Micro is a stable tunnel design with excellent materials and features for back-packing, but the inner tent headroom and porch space are slightly limited. It won Trail’s ‘Best in Test’ accolade.